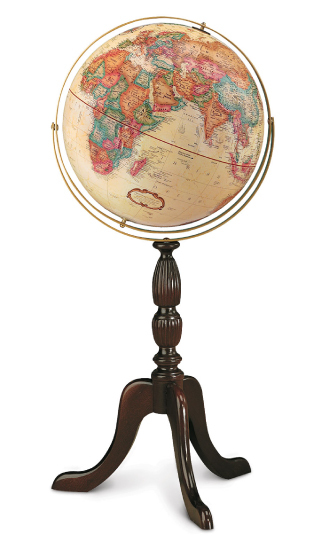 The Cambridge Floor Globe from Replogle features a dignified walnut-stained hardwood stand. Colorful land masses and off-white oceans are enhanced with an antique finish. This floor globe has a gyro-matic full meridian for easy movement and viewing. Backed by a one-year warranty.